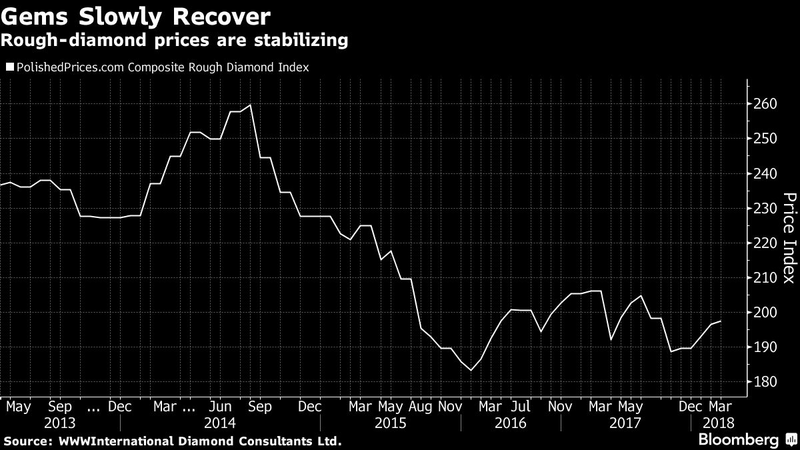 (Bloomberg) — Alrosa PJSC, the world’s largest diamond miner by output, is increasing its marketing efforts and targeting new opportunities in gem cutting at a time when the market is showing signs of starting to stabilize. The Russian firm, which typically hasn’t promoted stones outside Russia, last year contributed $25 million to the Diamond Producers Association for marketing and may increase sponsorship this year, Chief Executive Officer Sergey Ivanov said. Alrosa also plans to focus more on cutting premium stones and may consider buying Russia’s top polisher if it gets privatized. That helped Alrosa reduce its 18 million carats of inventories by 30 percent from the start of the year to a seven-year low, as well as raising average prices by several percent, the CEO said. As part of its promotion strategy, Alrosa is working with researchers to show that so-called fluorescent stones, which are often sold at a large discount and shunned by younger buyers, in many cases have better color and luster than normal gems, Ivanov said. Alrosa has “a lot” of such stones at its mines, he said. It’s also testing technology to mark its gems and may join De Beers’ project to use blockchain to track them as well as looking at other alike projects. Aside from promotion, the Russian miner expects to focus on cutting stones weighing more than 1 carat because it’s not worth doing so with smaller gems in Russia. It will also boost polishing its unique stones and may team up with partners for polishing some of them, he said. The main stone from the Dynasty collection, which didn’t sell last year, is due to be sold this year, he said.There could be some resistance to the plans. 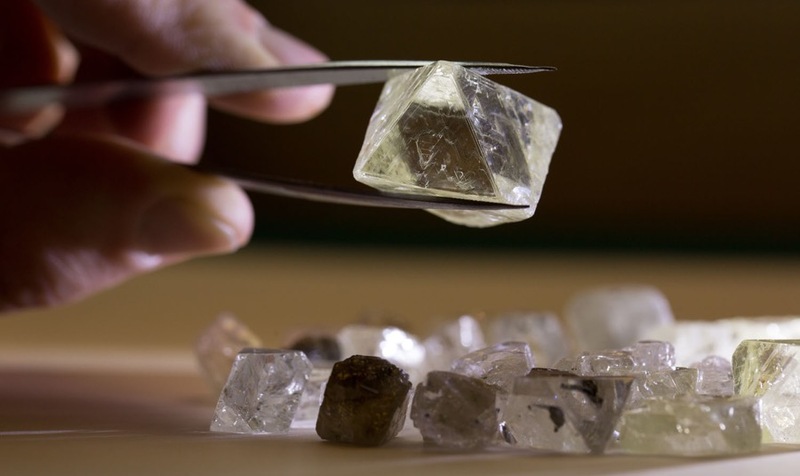 Expanding into the polishing business has always been considered as a bad idea for Alrosa, Oleg Petropavlovskiy, an analyst at BCS Global Markets, said by phone. As part of its move into polishing, Alrosa may consider taking part in an auction for Kristall Production Corp., Ivanov said. Deputy Finance Minister Alexey Moiseev said in March that the government is considering privatizing Kristall, Alrosa’s biggest domestic client. “Kristall won’t add anything to Alrosa’s profit, but won’t hurt it too and will solve the government’s issue with the troubled gem polisher,” Petropavlovskiy said.